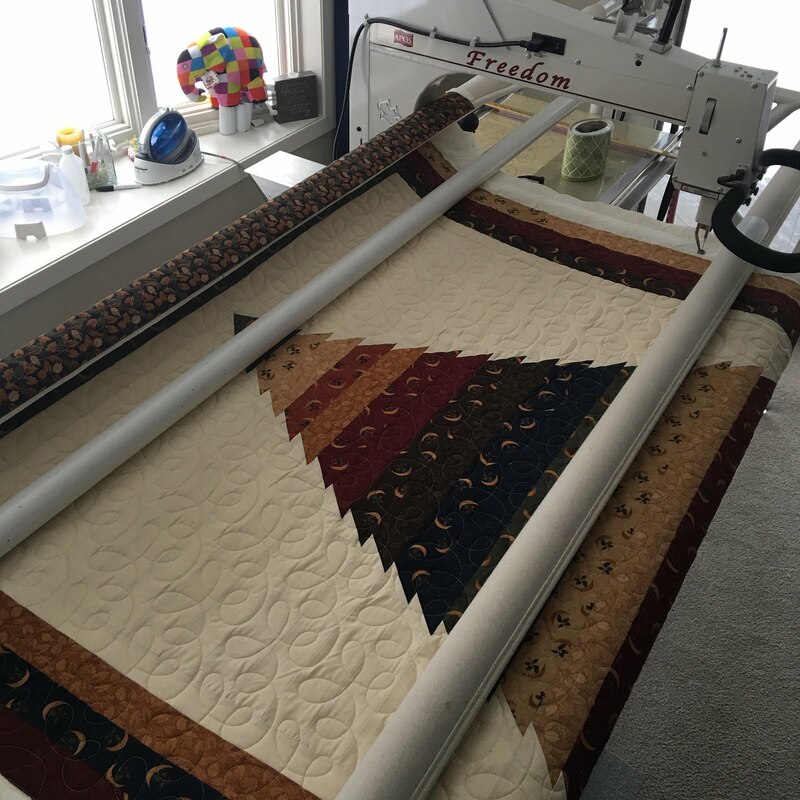 Susie loved this fabric line so much, that she made two quilts out of it! 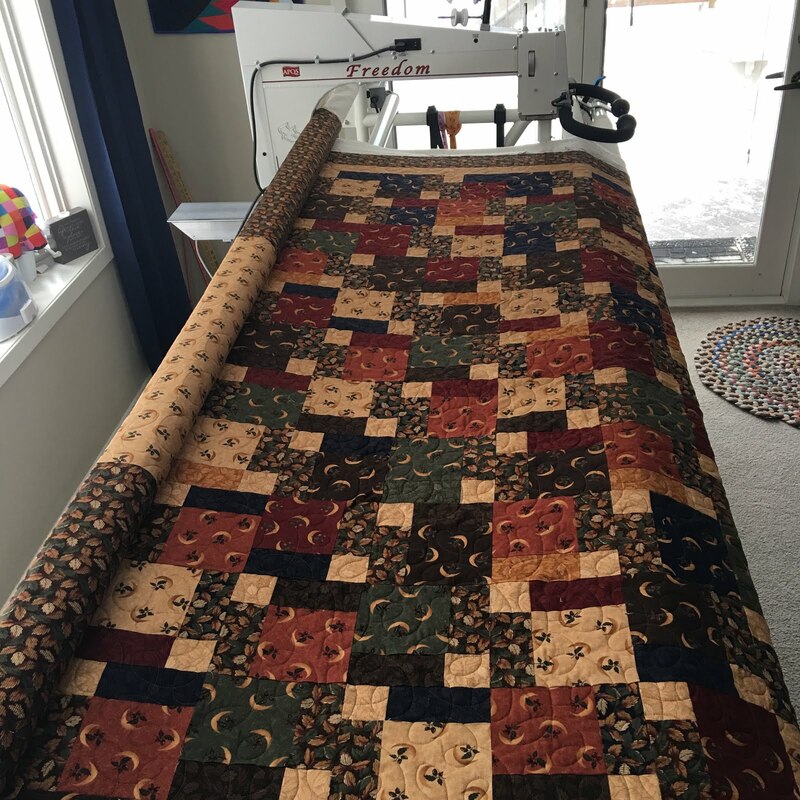 Both quilts are for her son, who likes his quilts thick, heavy and warm. And who wouldn't, at this time of the year in Minnesota! The batting on this is Warm & Plush, a super thick loft, 100% cotton batting. 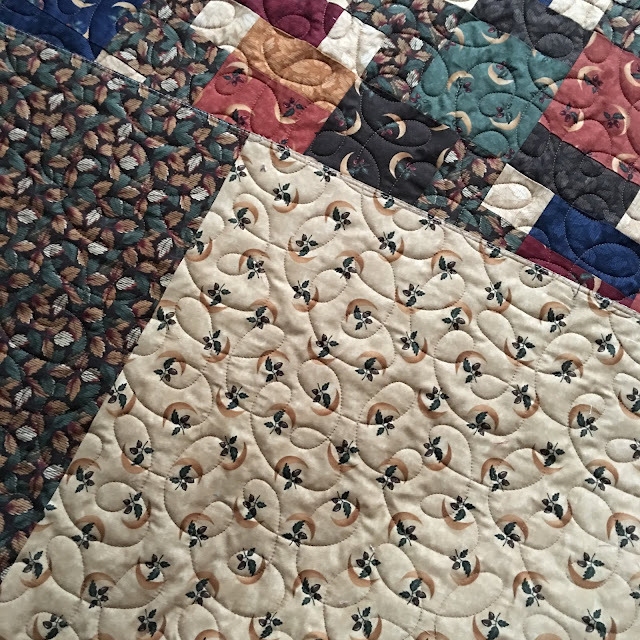 The quilting Susie chose is "Spring Thing". It's an open spaced design that works great with the thick batting. 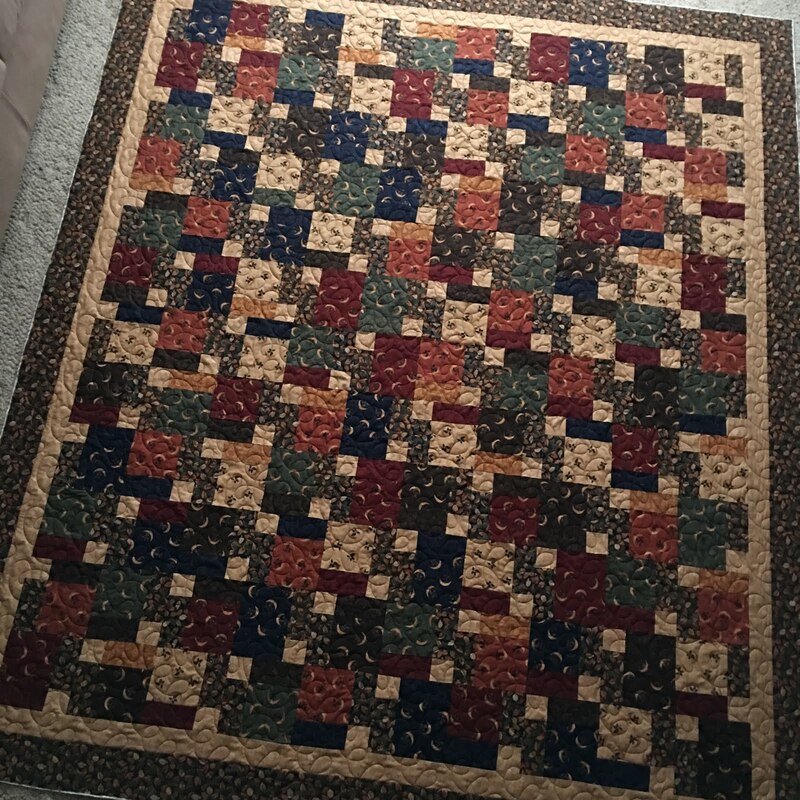 Susie's second quilt is made from a jelly roll of the same line. 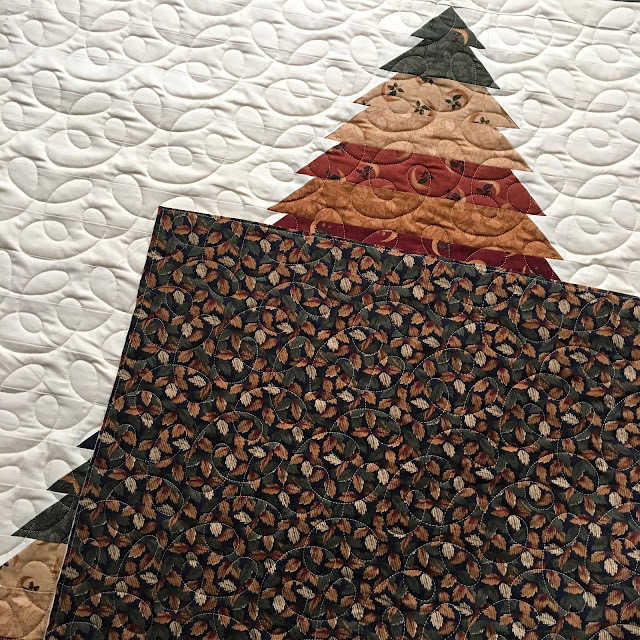 This adorable pattern is available at Quilt Cove, with a sample on display and a kit available. The batting on this quilt is two layers of Warm & Natural. Susie wanted "Spring Thing" again, which looks great on the open space of this throw-size quilt. Great job, Susie! They turned out wonderfully thick and cozy! Such nice gifts for your son. They look like great Minnesota winter quilts! 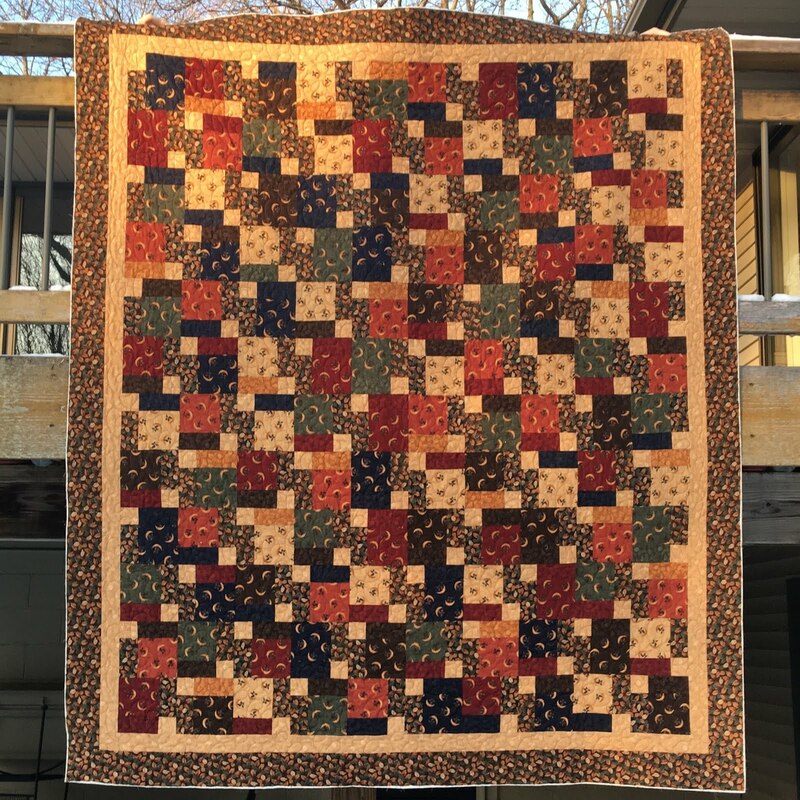 I really like the "Spring Thing" quilting! Nice quilts, they look warm and cuddly. Great for this time of year! I like that loopy quilting too. I would not have guessed the first one was a D9P if you hadn't told us, funny how fabrics and their placement can make it look different. 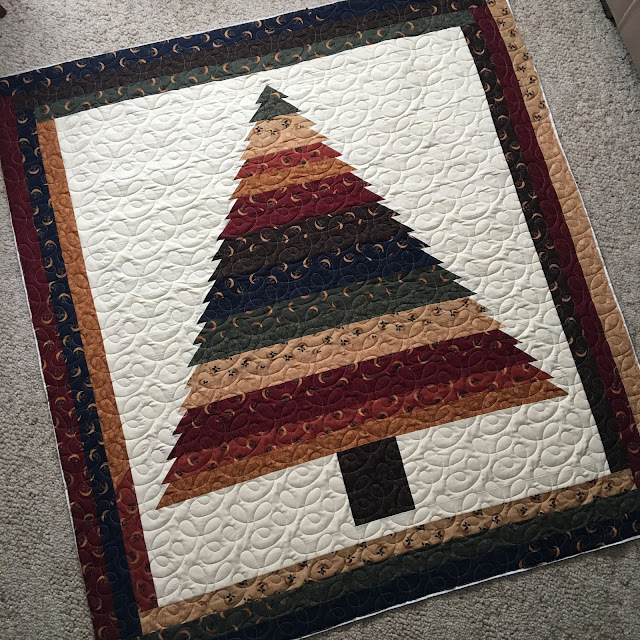 Great tree quilt too. These are lovely quilts and I love the idea of double batting and thick batting! The tree quilt is just adorable and I love the way that you quilted it - perfect with that fabric! Both are great quilts from the same fabric line - hard to resist for sure! I grew up here in Louisiana, but our old house was very cold. We would sleep under 2 or 3 heavy quilts and 2 or 3 blankets with a hot water bottle at our feet. Anyone that's had to sleep like that at any time in their life should appreciate a nice, warm quilt! So beautiful! I love the idea of using two layers of batting! You know, crocheted afghans always seem so much more cuddly to me - but how I love my quilts! I will try two layers of batting next time to make them extra cuddly! Thank you for the tip! Beautiful quilts! It amazes me how the Disappearing 9 Patch comes out completely different each time! Both quilts have turned out really well. I have not used two layers of batting before. But then we don't get as cold as you, either. 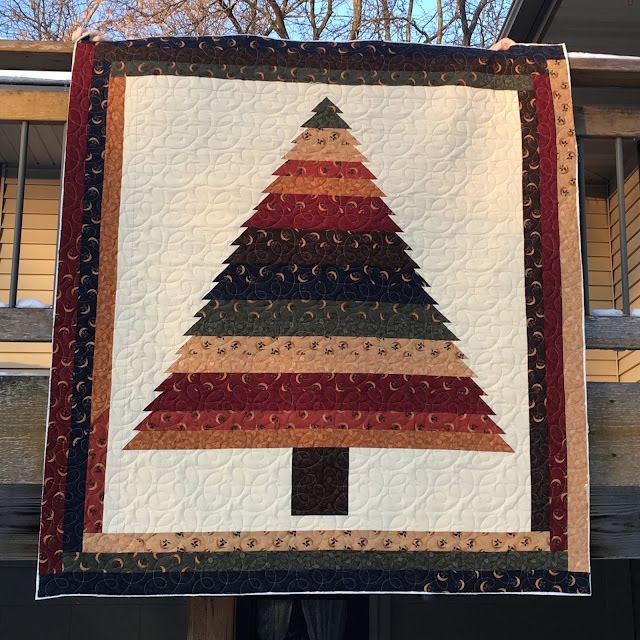 Both quilts are lovely and so cozy looking! I really enjoy the Warm and Plush batting - makes for a nice warm quilt. Wow - the two different designs really make it look like separate lines of fabric!